Heavy rainfall through the early weeks of autumn has many Southwest Florida golf courses and related businesses under water. “Personally, I’m very frustrated with this wet weather. It has drastically affected business,” said Jim Phelps, a representative for Naples-based Geoponics. September rain soaks the golf and turf industry as superintendents and managers prepare for an October recovery addressing water management with soilsurfacts (www.soilsurfactants.com) and other products and practices. Geoponics provides water management products and other earth-friendly products to assist in soil, turf, plant and tree health. Golf courses are among their most frequent clients. Though the rain is a big damper, pun intended, Phelps is looking forward to assisting landscapers, turf managers and golf course superintendents when things dry up just enough to begin their recovery, he said. 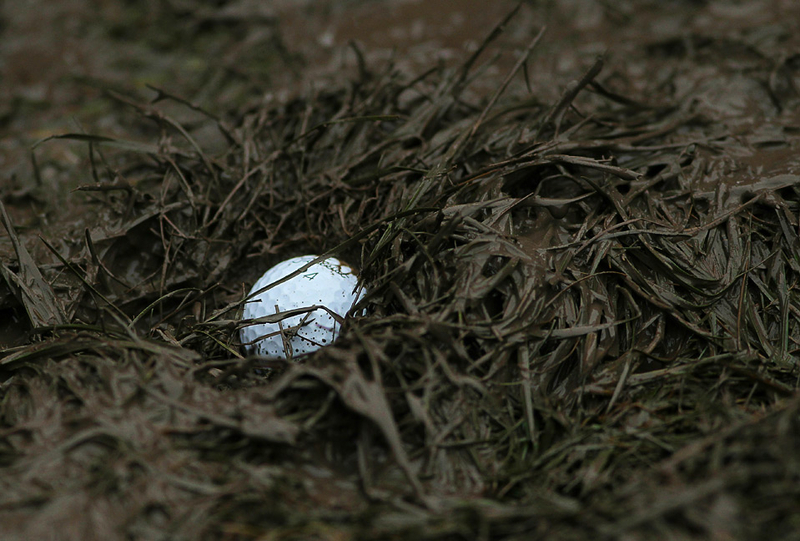 Golf course managers are feeling soaked financially by the rain, many have said. Normally, a little rain would be a boost in business for companies like Geoponics—too much rain and there isn’t a product on the market to deal with it. “They (golf course superintendents, landscapers and turf managers) can’t even mow, much less work on putting product out there,” said Phelps. Though the sun has come through on some days, there hasn’t been enough time for water to dissipate in many areas of Southwest Florida. Soggy turf and soil is a great place for turf diseases to take hold, and in severe cases of standing water, the quality turf will die. “Of course the weeds don’t care if it’s raining or the sun is out there. The weeds keep growing. Golf course superintendents are fighting a battle right now. They’re in a big battle,” Phelps said. The challenges aren’t just in Southwest Florida either as rain was heavy in many areas of the state. Lee County received about 11 inches of rain in September— at least 3 inches above average. “North of us, north of Collier and Lee counties, is even worse. They’ve had tremendous quantities of rain. It’s ridiculous,” said Phelps. The last week in September was particularly arduous and the opening week of October hasn’t given the relief needed to begin winter preparations for many courses. “It’s been a daily chore. Every day there was a storm, lots of guys are out here dealing with the sand traps, the bunkers, all the sand washing from the rain,” said Bruce Bach, superintendent at Twin Eagles Golf Course in Naples. Twin Eagles, an award-winning golf course in Naples, Fla. was soaked by September rain and is readying for an October recovery. It’s been worse in some ways than dealing with the years where there was a heavy tropical storm or hurricane, he said. “This has been storm after storm, day after day compared to an individual event. I’ve been here 11 years and it’s the worst year I’ve seen for Naples and Fort Myers,” Bach said. The biggest challenge—there is just nowhere for the water to go in many situations. “The ponds are full, canals are full, lakes are backing up with standing water on the golf course and there is no where for it to go,” said Phelps. The rain caused delay in reopening one of the renovated golf courses at Twin Eagles, The Talon Course, said Bach. 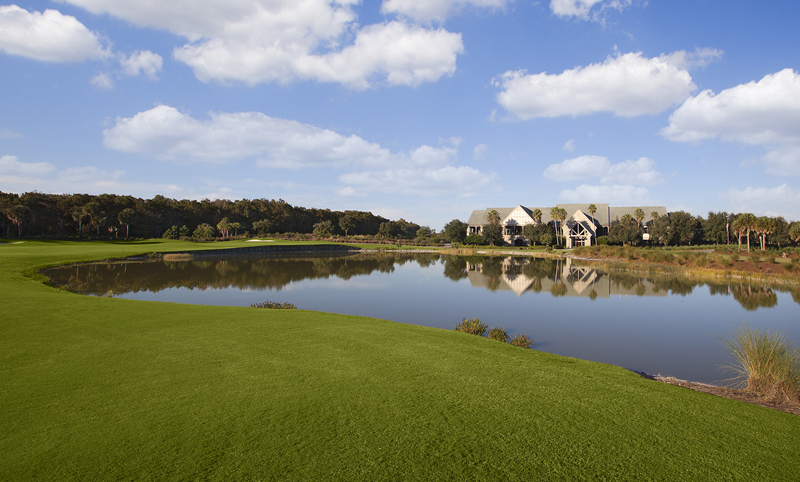 Despite the challenges, he’s optimistic that both of the award-winning courses at Twin Eagles will be in great shape for the busy winter golfing season in Florida, including the Eagle Course, which was voted the “Best New U.S. Private Course of the Year,” by Golf Magazine. “We’re delayed, but we’ll get the job done,” said Bach. The seasonal practice of aerifying the soil will be ever more important following the heavy rain. Though more sun and wind are needed for many courses to dry out enough to recover and then resume their fall and winter routine maintenance, the past few days of at least partial sunshine early in October has been beneficial. “Products can at least be applied to most of the high areas now,” said Phelps. He recommended Penterra, a fast-acting soil surfactant to get the water moving through the soil, and Agriox, to help bring oxygen into the soil. “These products in particular will keep it a little drier and reduce disease pressure,” said Phelps.